Tucked in California’s Sierra Nevada Mountains, Yosemite National Park is home to stunning views like the cliffs of El Capitan and Half Dome. Waterfalls, valleys, granite walls that reach thousands of feet, and the giant, ancient sequoia trees all make this national park like no other place on the planet. We teamed up with Emily Thomas (@emitoms) to capture these mesmeric scenes and help plan the perfect weekend in Yosemite. Emily is a Seattle-based landscape travel photographer who’s always capturing some of the most picturesque locations. From the peaks of Patagonia to the bright blue waters of Bali, we knew she’d be the perfect fit to capture the beauty behind this national park. In Yosemite, the winter months drop to the low 20’s during the day and at night, so Emily requested a cozy cabin with a fireplace. Here’s where Emily stayed during her trip, along with a few other options to help make your winter stay in Yosemite full of majesty. Stay where Emily stayed: Booking a rental close to Glacier Point was important for snapping the photos Emily was looking for. Knowing the weather was getting colder, she stayed at a 3-bedroom cabin in the deep woods with a warm fireplace and an outdoor grill and patio area for dinner each night. Yosemite doesn’t have a ton of places to go out to eat, so staying in a location with a full kitchen is an important feature to help you maximize your time in the park. 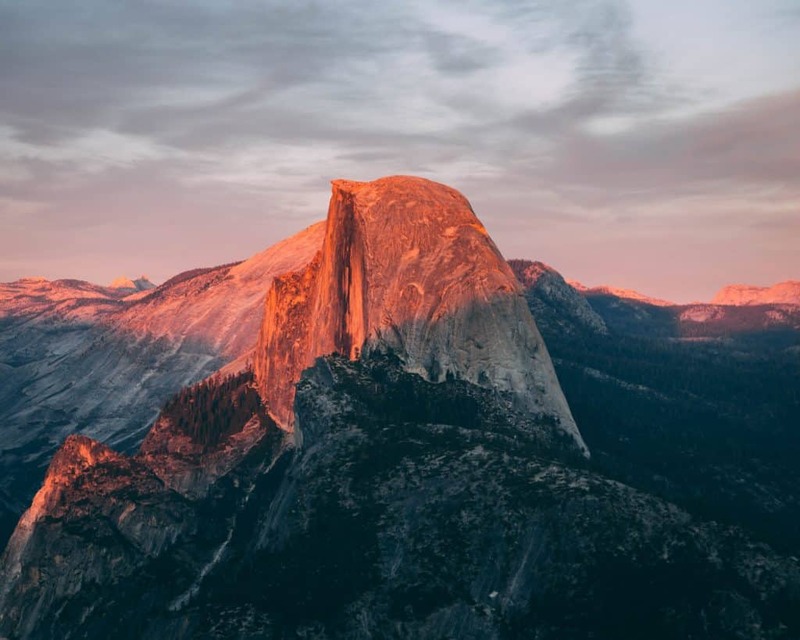 Emily recommends a drive up to Glacier Point at sunset for the best views of Half Rock Dome, a rock formation known for its unique shape, and at a time where you can get that famous crimson glow on the sides of the granite walls. 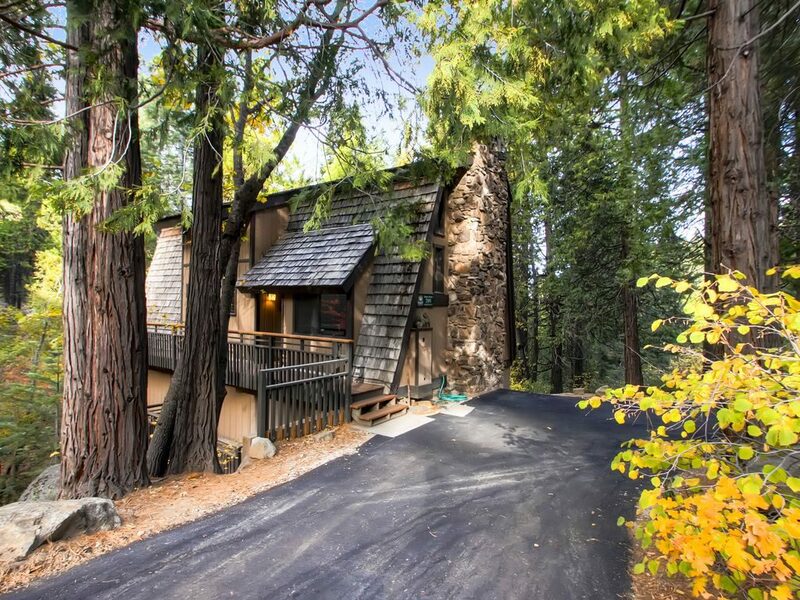 Stay in a luxury house: Inside the gates of Yosemite National Park, this 3 bedroom, 3 bath 3,200 square foot multi-level luxury home is just a short drive from both Badger Pass Ski Area and the Yosemite Valley. Staying in this spot opens up all sorts of activities, like ice skating at Half Dome Village, cross country skiing on one of Yosemite’s many groomed or un-groomed trails, or downhill skiing at the local resort – all with a quick commute back to a warm, beautiful floor-to-ceiling fireplace. Stay at Cedar Chalet – Bringing the kids and the dog along? Cedar Chalet is family and pet friendly, with room for up to 10 guests in a log cabin you’ll swear you stumbled on in the middle of the woods during a German fairytale. The cabin has a fireplace and hot tub to help ensure that you have the best experience possible! Cedar Chalet offers you the rare opportunity to stay inside a national park, with unbelievable sights and photos opportunities just outside the front door. Stay at a Cozy Cabin – For the best wildlife views, this cabin inside the park has a large deck that provides unobstructed views of Wawona Dome and an adjacent meadow where deer and other wildlife gather. 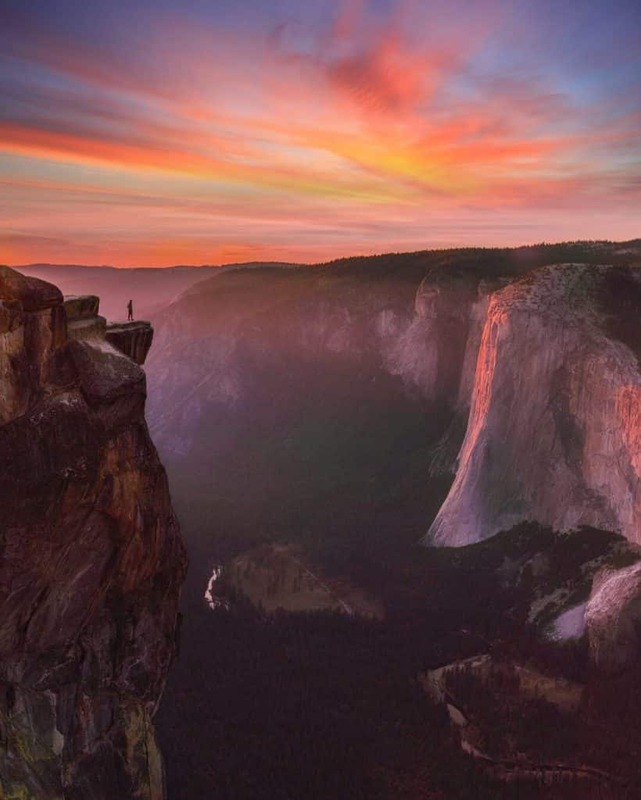 It’s about 45 minutes away from Yosemite Valley, Badger Pass Ski Area, and Glacier Point – so you won’t be distracted by crowds of tourists. This cabin offers an escape into nature that’s hard to come by. Turn off the phones, unplug the chargers, and step into the great outdoors. 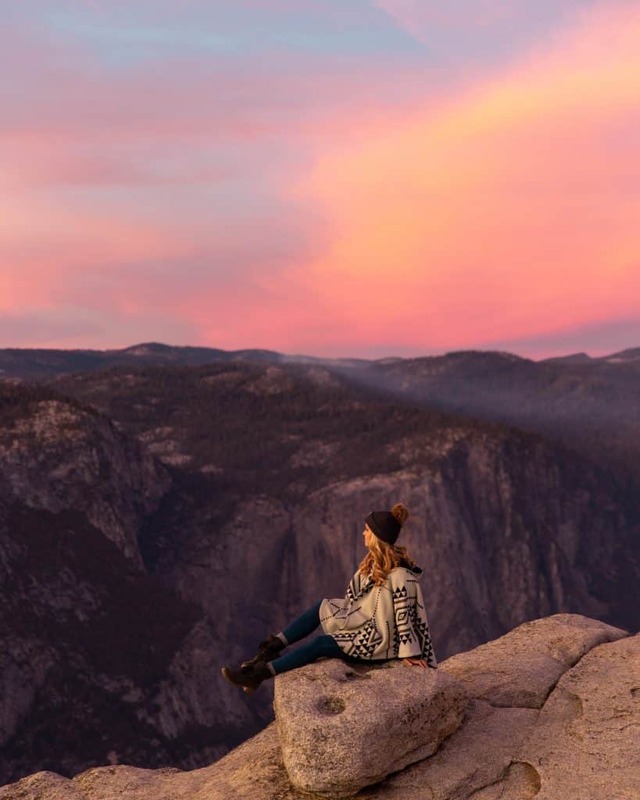 Check out Emily’s blog post for inspiration on how to plan a Yosemite adventure – including where to capture the best photos – before you book the perfect rental for your trip.